Recently the Vancouver Sun wrote about a disturbing discovery in the medical field. A person posing as a medically-licensed doctor was practising on patients in Vancouver while unlicensed and giving botox and other collagen related treatments to unknowing patients. With the help of the College of Physicians and Surgeons of B.C., a private investigator posed as a patient at the clinic to uncover this unlawful and immoral practice. Medical equipment, prescription medication and patient files were seized from the clinic and the authorities are currently investigating the woman responsible as well as the spa she practiced out of. At this point there have been no reported cases of harm to any of the patients. 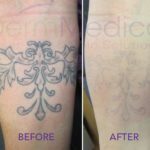 While this is uncommon, those who are seeking cosmetic and medical skin treatments must be cautious of whom they choose to do business with. While we don’t often think of unlicensed medical professionals practising here in Canada, it can and does happen. There are a few things that you can do to protect yourself while doing research into your medical procedure. While some procedures may be cosmetic, it is important to remember the risks that you face by having an unlicensed person performing them. Side effects can include muscle weakness and droopy eyelids, as well as long term issues such as facial paralysis. Working with a qualified and trained medical professional can help prevent any long term problems or side effects. 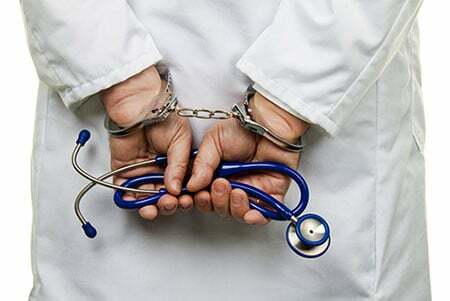 Only licensed medical professionals should perform any form of medical or cosmetic treatment. 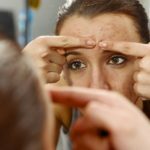 While some spas may offer body sculpting and Botox injections, in British Columbia they can only be administered by medical professionals such as Doctors, Dentists and Nurses. When looking into potential doctors to supply your medical treatment, doing research is of the utmost importance. The more information that you have regarding the treatment you are considering undergoing, and the more information you have regarding your candidates for a medical practitioner, the better prepared you’ll be if something doesn’t seem right. When you have selected a doctor, go to their office beforehand to ask questions. Make sure that you, and they fully understand the treatment that you are considering. Make a list of questions for your doctor, and have each and every one of them answered before making a final decision. If you have any concerns with regards to your medical procedure, or feel that your doctor may not be qualified for the procedure they are performing, it is your personal right to refuse treatment from that medical practitioner. Dr. Crippen and the rest of the staff at DermMedica care about their patient’s health and wellbeing. We want to work with you to make the best decisions in your medical health, and to be the best you that you can be.